Religion hasn’t had the greatest reputation of late. There are pastors who use their congregation as a force for benevolence and meaningful change though. On Thursday, Sept. 24, Dr. Richard McCarty spoke at Edinboro University about eschatology. 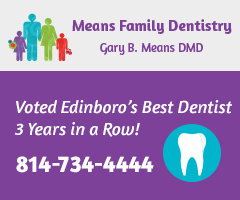 Edinboro University has received a national award for the second year in a row. 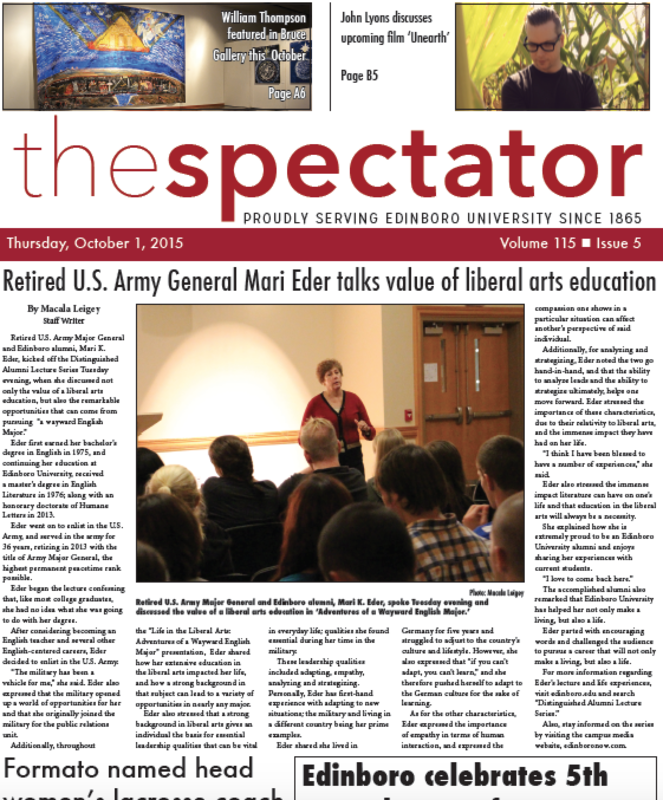 Retired U.S. Army Major General and Edinboro alumni, Mari K. Eder, kicked off the Distinguished Alumni Lecture Series Tuesday evening. Voices editor Emma Giering talks to local filmmaker John C. Lyons about his next project. “Without a doubt he is the guy to beat in this region, day in and day out.” Those were the words of Edinboro head tennis coach Lee Underwood, who did not shy away from praising sophomore, Vitor Albanese. The redshirt senior defensive end entered the 2015 season with high expectations for the Edinboro defense, but as for personal goals, Principale is thinking even bigger. 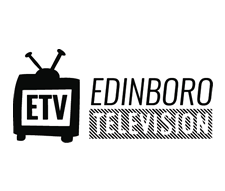 On paper, Edinboro, a team getting national attention, was the clear-cut favorite heading into its match against Lock Haven. The current show features William Thomas Thompson, who is a religious artist from Greenville, South Carolina. He drove from South Carolina to attend the opening night of the gallery on Wednesday, Sept. 23. We Can Do It!” That’s the slogan that should pop into everyone’s mind when the word “feminism” is brought up.